To the mom who suffers OCD in silence: I see you. To the mom who spends all of her “me” time crying into her pillow: I get it. To the mom whose eyes dart across the room, wondering who is worrying about her sanity: I feel your pain. 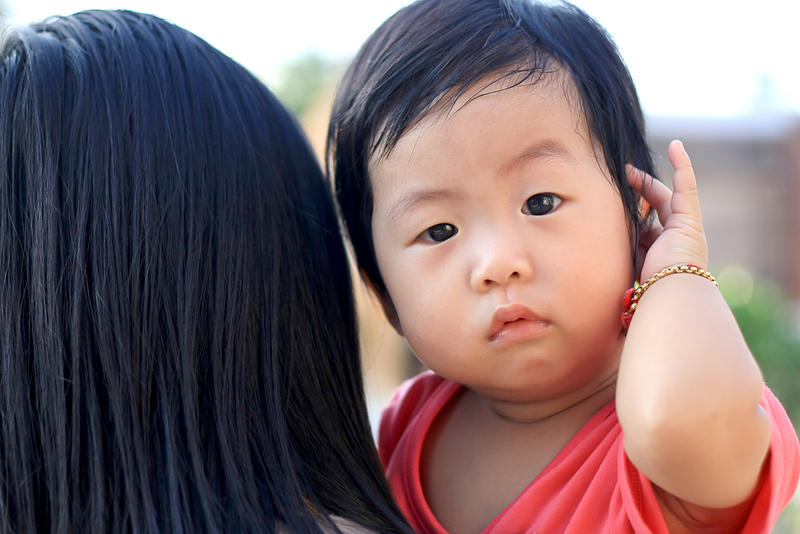 To the mom who fears holding her child: You’re okay. To the mom who fears not bonding with her child: It will come. To the mom who’s hungry, but can’t eat: I’ve been there. To the mom whose greatest fears are stuck on repeat in her brain: I know; it’s hell. To the mom who feels trapped in her own mind: You will escape. To the mom who mourns her former self: You will be restored. Right now you may feel helpless, alone, and misunderstood. You might look in the mirror and not recognize the woman in the reflection. You’ve always been strong, self-sufficient, and courageous, but now you find yourself needing reassurance for every move you make. The fear is real. The emotions are real. The way out seems impossible. You cry when the thoughts upset you. You cry more when they don’t. You wonder where these thoughts came from and fear what they could mean. You long for a clear mind, something you never before considered to be a gift. You’ve become robotic. You don’t act how you feel, you act how you think you should. Your smile is empty. Your eyes heavy. Your face is still, but your mind is racing. Your body is withering away. Your once strong spirit is begging for shelter. Shelter from the thoughts and anxiety. Shelter from the chaos. Shelter from yourself. You’re running. Endlessly running. Your mind is running. Your body is running. Staying in one place is the enemy. An empty schedule invites the thoughts. Being alone is not your “safe space.” You have no sanctuary. Why are you like this? How did you get here? What did you do wrong? You are like this because you love hard. You got here because you are selfless and protective. You did NOTHING wrong. From the depths of despair, there is hope. OCD feels like an Everest you were never trained to climb. You will fight this until you don’t feel you can go on and then you will fight some more. You will find inner strength you never knew you had and discover parts of yourself you didn’t know existed. OCD can feel like an identity crisis. Your mind has turned against you and you feel completely betrayed. I’m here to say: It’s okay. It’s okay to cry, hard and long. It’s okay to mourn for time lost. It’s okay to feel defeated, though you swear you won’t give up. It’s okay to fake being “okay” long before you feel it. I’m here to tell you everything will be okay. Maybe not now, but eventually. Eventually the fears will fade. The obsessions will lose their grip on you. Your mind will rest and you will relax in the serenity of silence. On the other side, you will be stronger. You will be sensitive and understanding. Empathy will be your greatest strength. On the other side, there is joy and there is peace of mind. On the other side, you will understand yourself far more than you could have ever imagined. The fear will have left you, but the lessons will remain. You will know what true strength is. You will have fought for yourself and those you love. You will be able to enjoy your life and your family. You will have overcome unimaginable obstacles. You will be grateful for the little things. You will enjoy simply being. You will be able to help others through their struggle. OCD is like the world’s greatest test of character and I promise, you are acing it. Chelsea Elker is a mother of three beautiful kids: Brayden (7), Easton (3), and Ella (1). She stays home with her kids and her husband Joel travels for work. 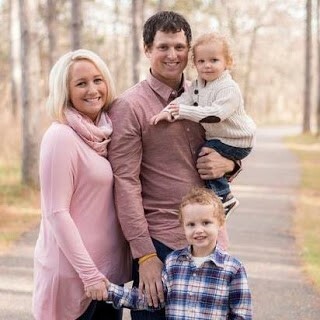 Chelsea’s world revolves around them and she couldn’t be any happier with her family now being “complete.” As happy and content as she is now, she was also a mom who experienced postpartum OCD, anxiety, and depression after the birth of her second son and now wants to spread hope to other moms who are still in the trenches. Chelsea has come out on the other side of this illness stronger and ready to make a difference and help others. After almost losing her voice to this illness, she has regained her strength and is ready to give others hope! Hi Chelsea i commend you for your bravery and honesty.I am a mom of two and would like to write to you would be willing to share your email address please. Hello : ) my email is elkerchelsea@gmail.com or I can be messaged through my Delicate Change Facebook page! This is a amazing letter! I needed this right in this moment. I hate this mental illness with a passion but I know this whole experience will help me help someone else one day!